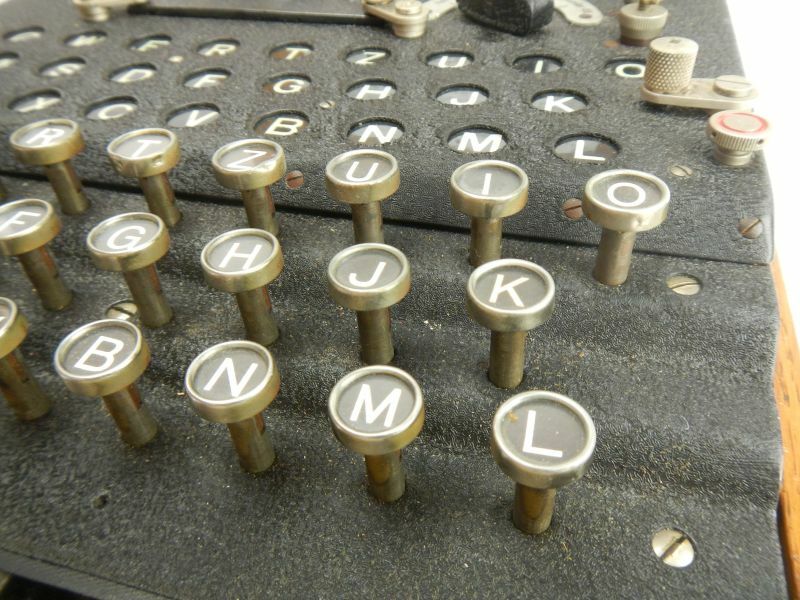 Own this rare and important piece of World War II and computer history. 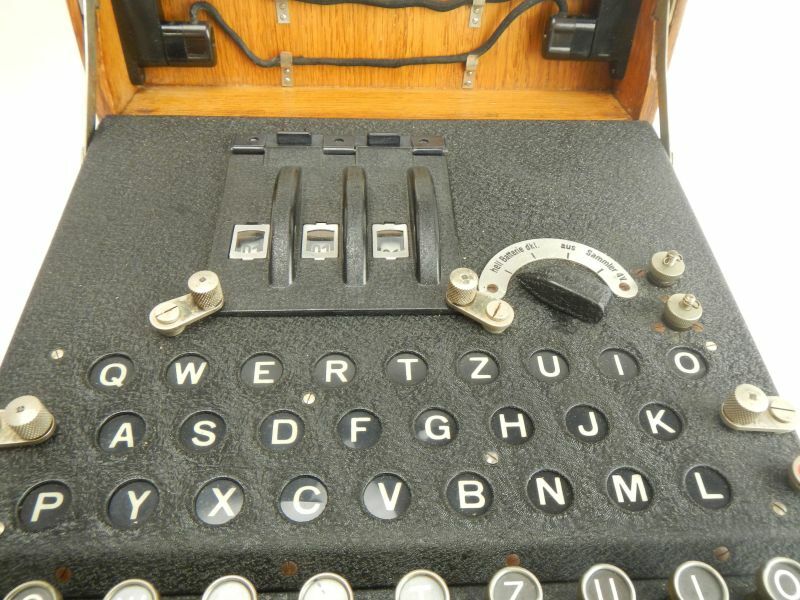 This is a complete, museum-quality WWII German Enigma machine in excellent working condition. 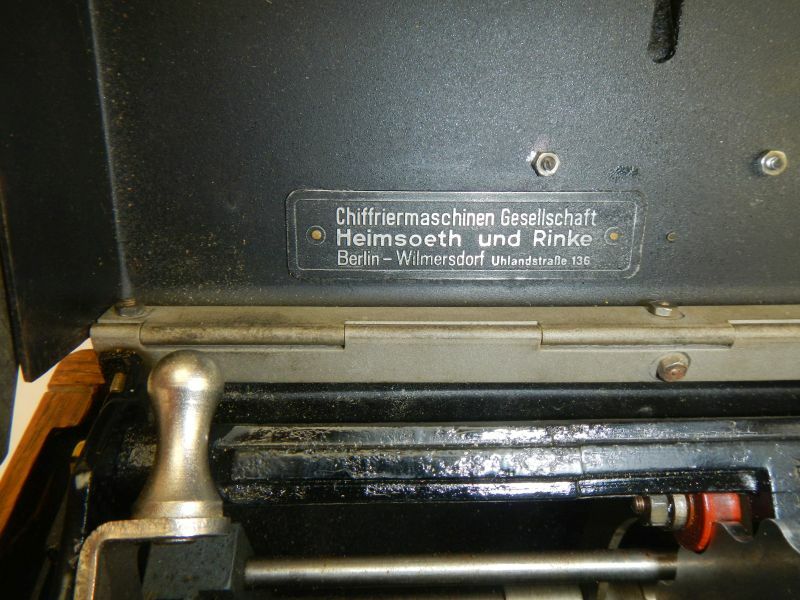 The serial number A7424 indicates that it was made by Heimsoeth and Rinke in Berlin in 1937. 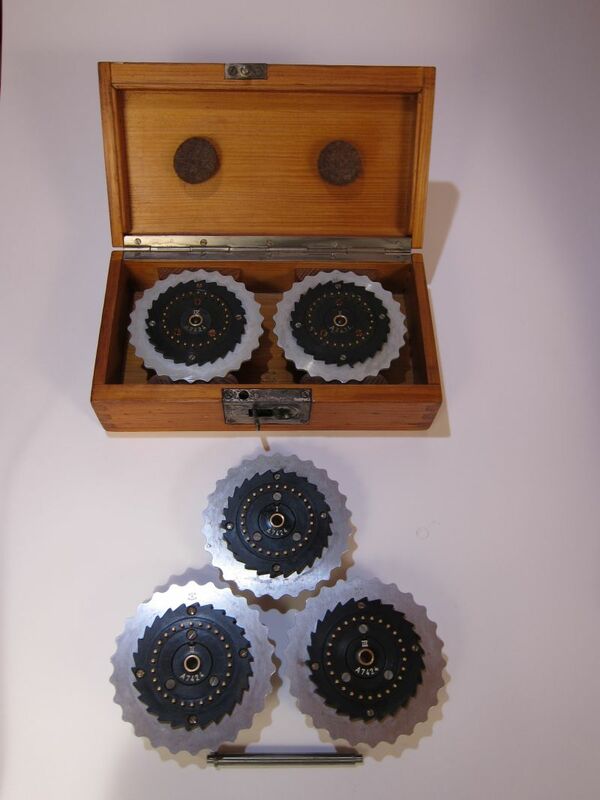 This Enigma includes five rotors (I, II, III, IV, and V). 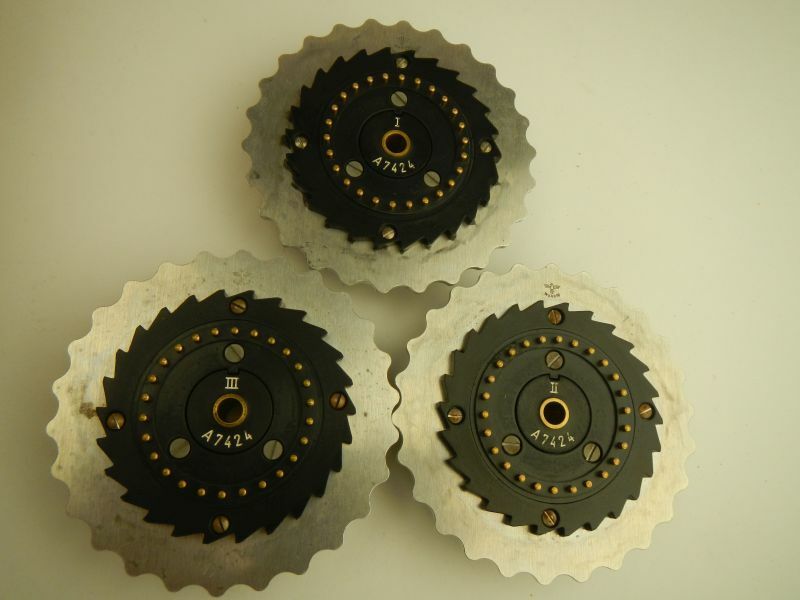 All five rotors carry the serial number A7424 and match the serial number of the machine. 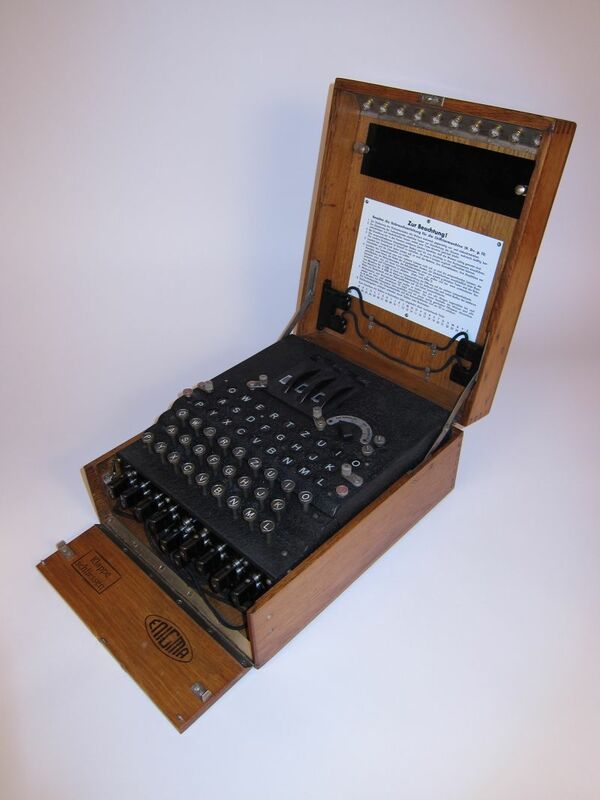 This Enigma machine was used by the Germans before the outbreak of WWII when the German military was expanding in violation of the Treaty of Versailles. This machine continued to be used by Germany after the outbreak of WWII in 1939 and through to the end of the war in 1945. Although this machine was used by the German military during WWII, it escaped any major damage and appears to have been stored in a dry environment since the end of the war. All of the rotors have been refurbished to original specifications using as many original parts as possible, with serial numbers reset to match that of the machine and reflector. 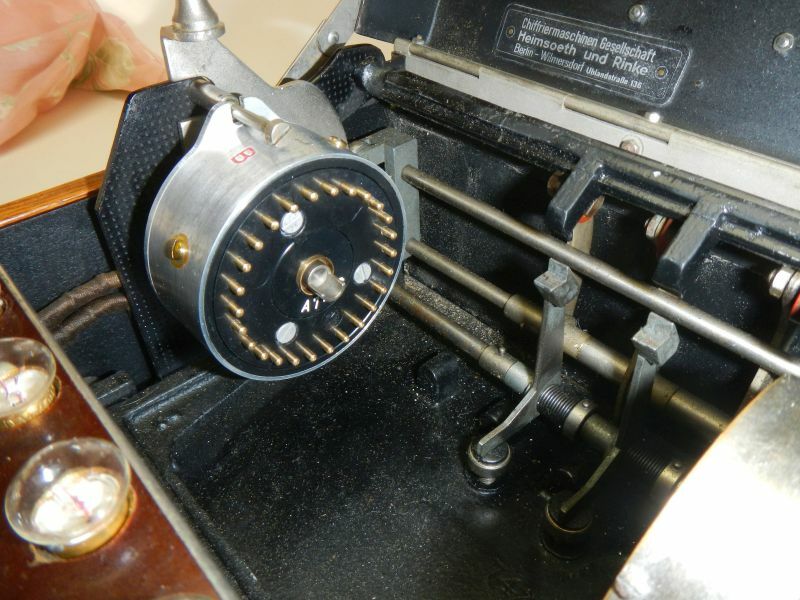 All of the internal wiring of the Enigma as well as the wiring of the rotors and reflector have been checked and verified to work just as the machine would have upon issue to the German military in 1937. 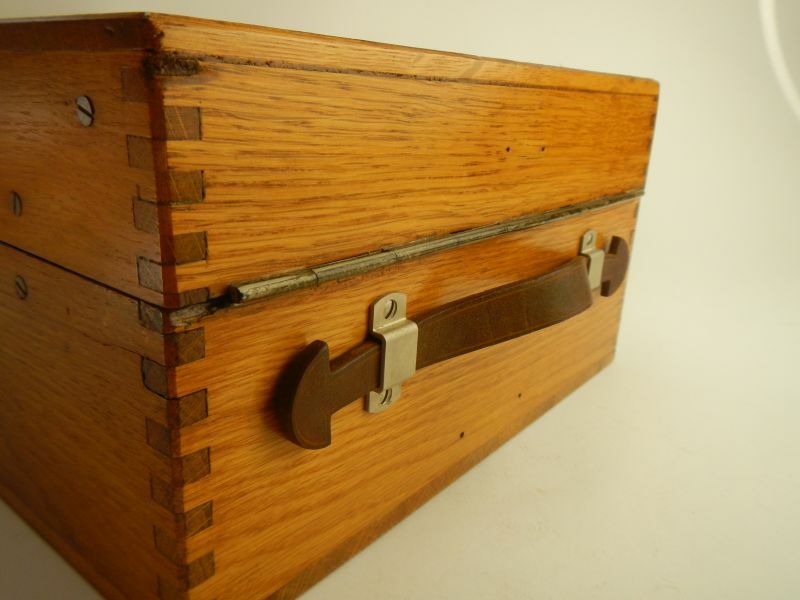 The finish on the oak box has been lightly restored to stabilize the wood. 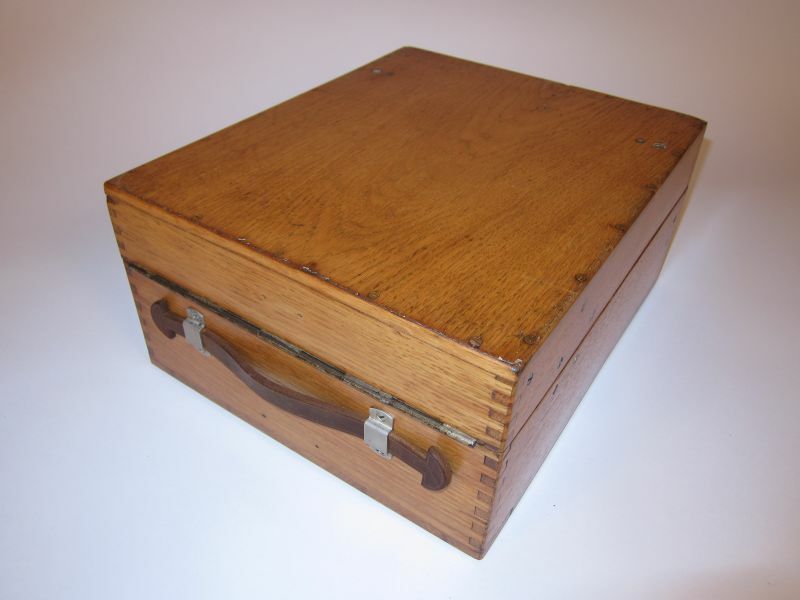 The machine and the oak case are in excellent condition and show wear characteristic of machines that were in use during the war (see the photographs below). 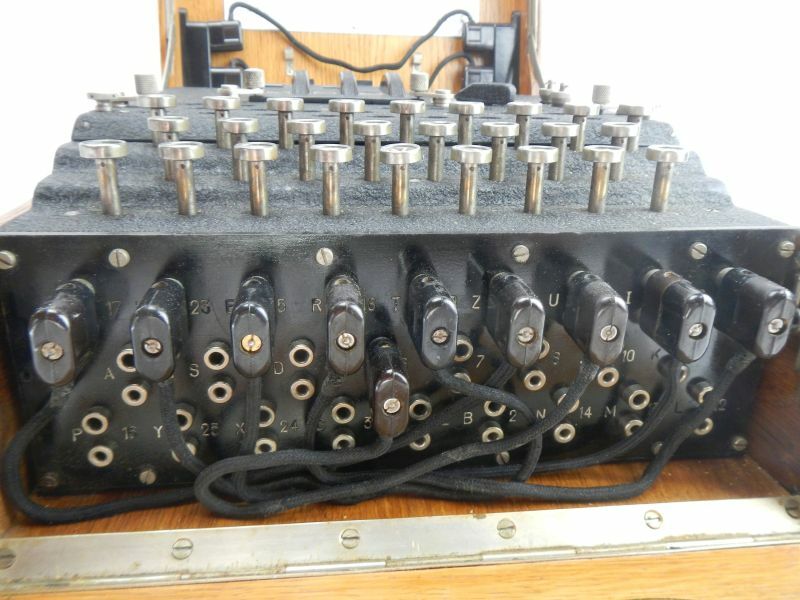 Although it is more than 75 years old, this Enigma machine is an excellent, museum-quality example of a 3-rotor Army Enigma (a.k.a. 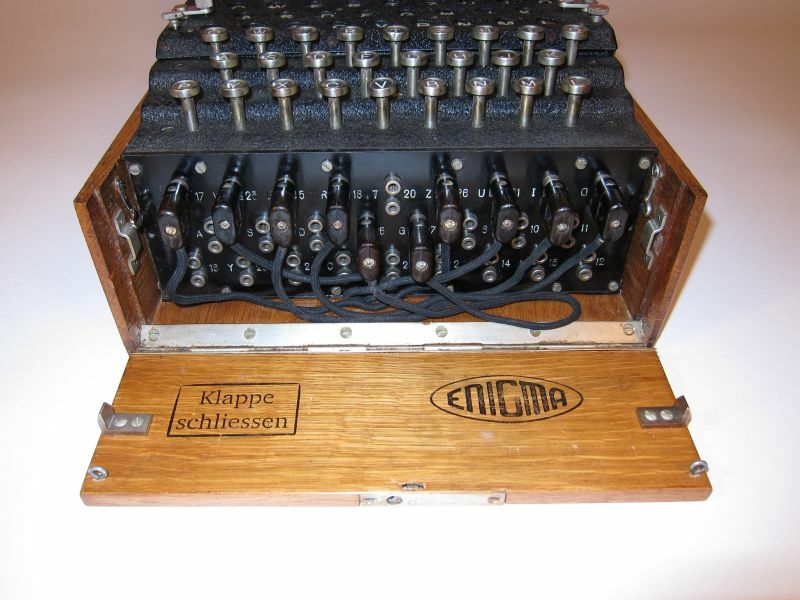 “Heeres Enigma”, or “Enigma I”). 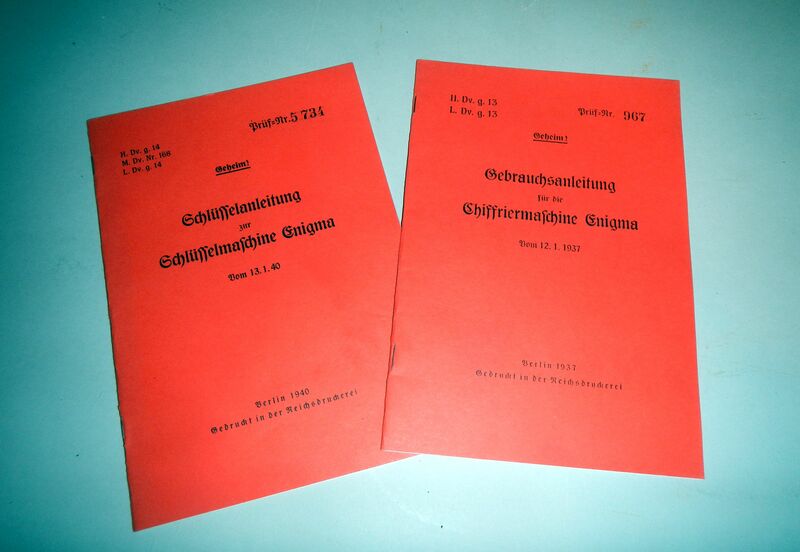 To allow the buyer to use the Enigma, a battery holder that accepts standard flashlight batteries is included as are copies of the original Enigma operating manuals, Dr. Thomas Perera’s book Inside Enigma, and a CD-ROM titled The Story of the Enigma: History, Technology, and Deciphering. 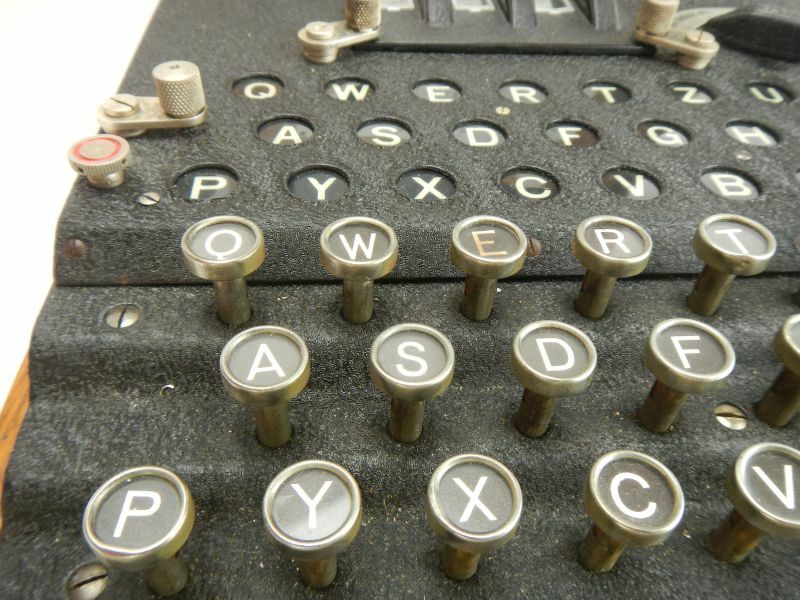 Allied code breakers, including Alan Turing, developed the world’s first computers to break German secret codes. 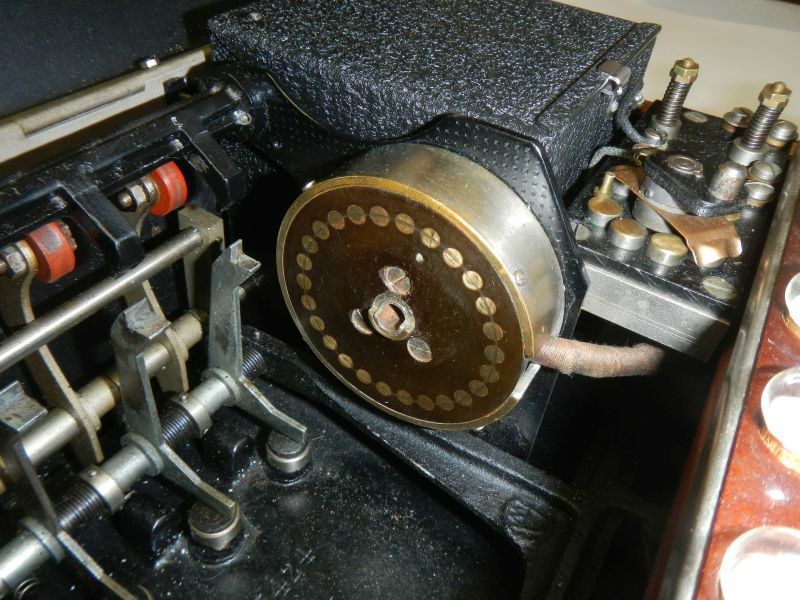 Successful Allied code-breaking efforts against the Enigma cipher machine by the Poles, British, and Americans shortened the war by as much as two years, saving thousands of lives and denying Germany the time needed to perfect an atomic bomb. 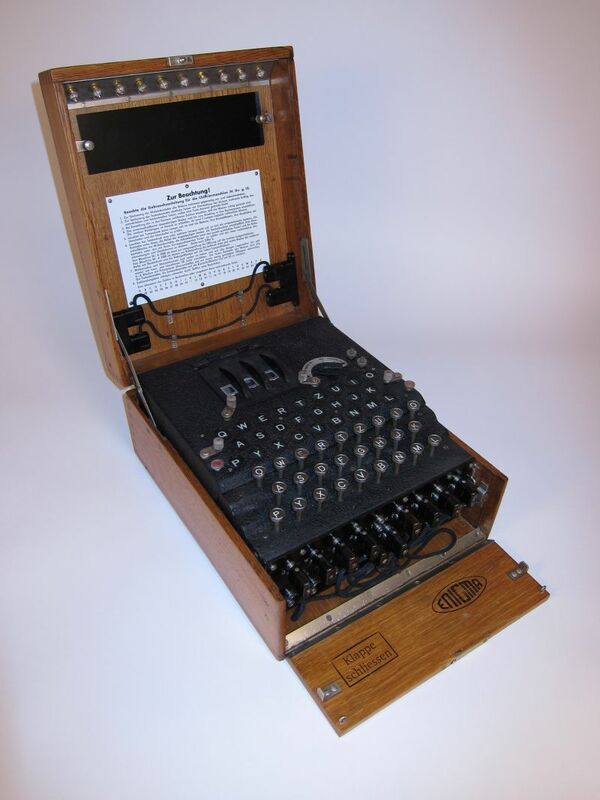 Enigma machines are extremely rare. German officers had orders to destroy them rather than let them be captured at the end of the war. 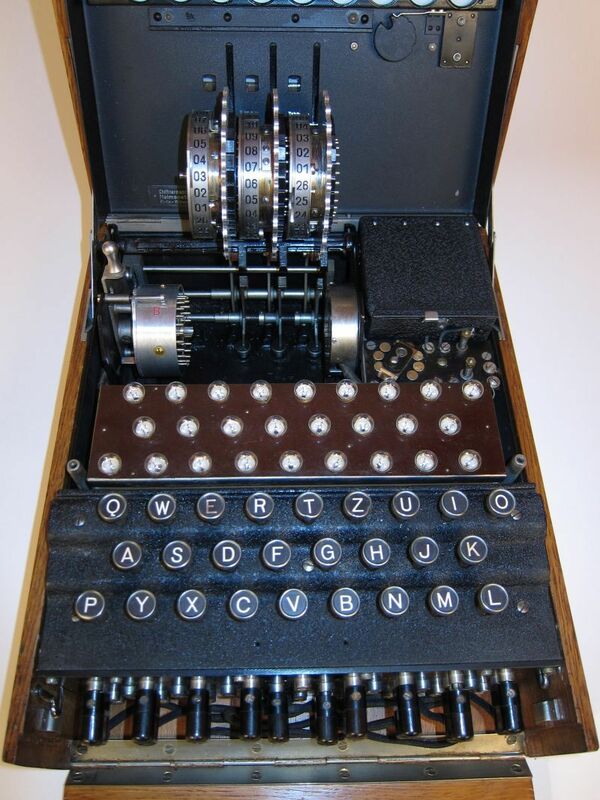 The Germans had no idea that the Allies had broken the Enigma codes and felt they had to keep their secret code machines from the enemy. German soldiers would kick them, hit them with rifle butts, throw them into lakes, and even explode hand grenades inside them when their positions were about to be overrun by Allied forces. 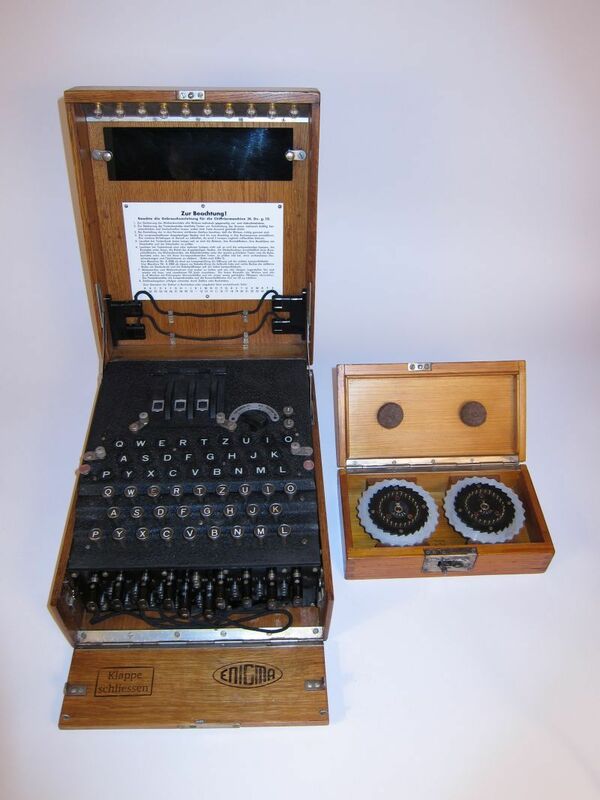 Approximately 270 3-rotor Enigma I machines survived the war, and nearly all of these are held by museums and government agencies. 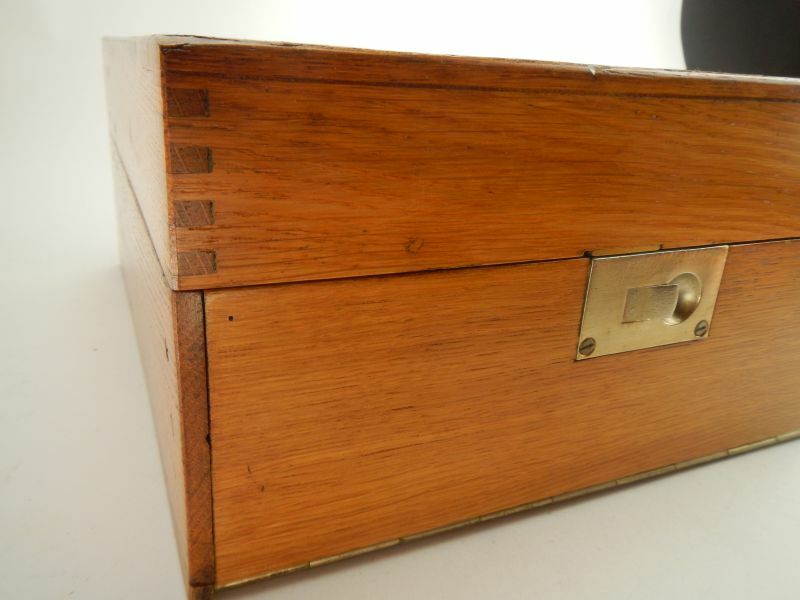 Very few of these rare machines are available to private collectors. 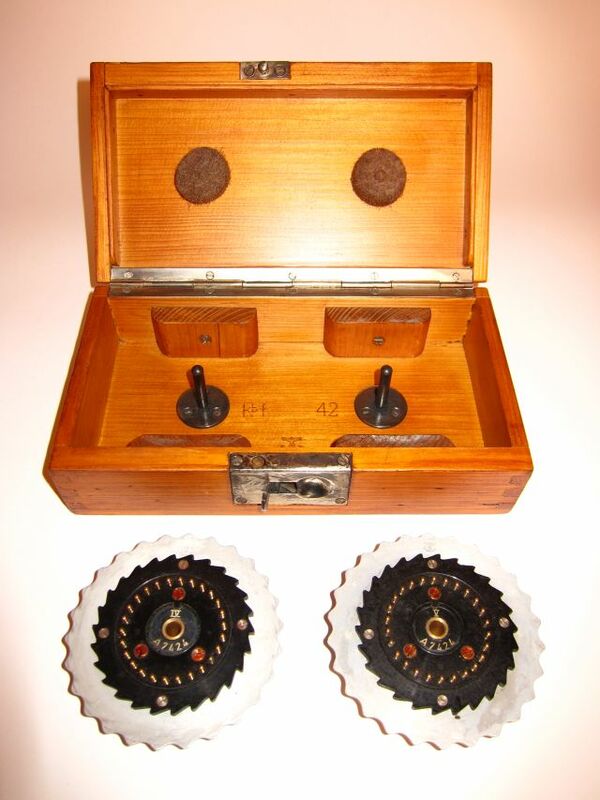 This Enigma machine includes a replica spare rotor box that is shown in the pictures below. This is a very fine working example of one of the most important pieces of history from WWII.